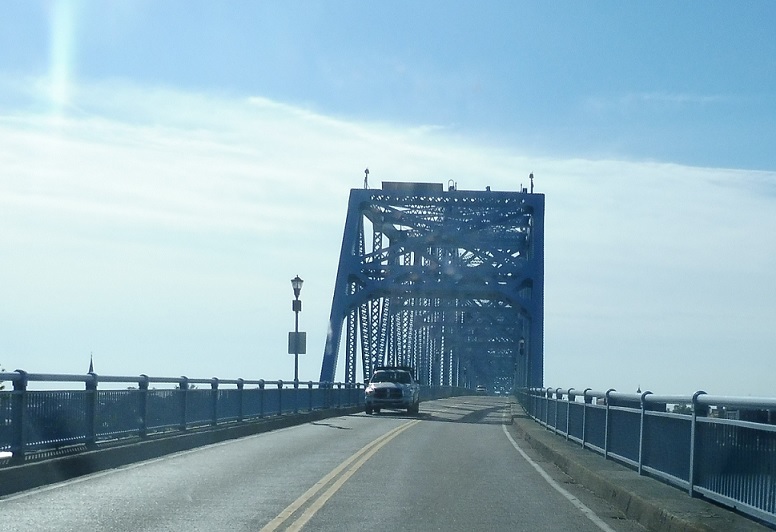 As SR 161 ends, we’ll cross the Ohio River into Owensboro, Ky.
As we cross the river, we’ll approach KY 2155 and KY 2245. Turn left here for KY 2155 within this one way grid. 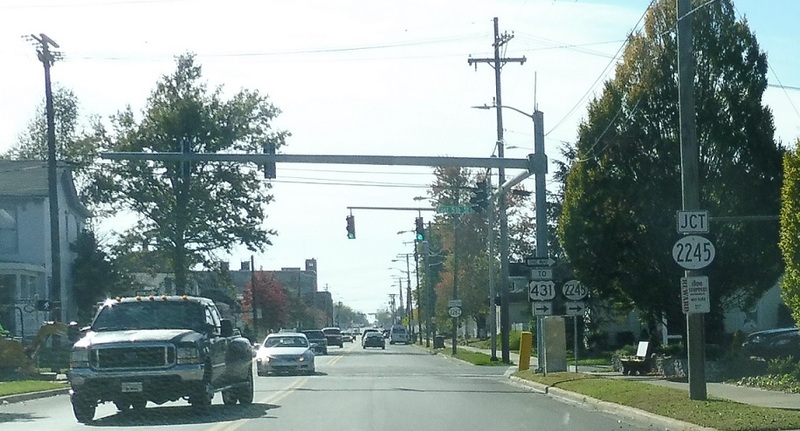 Stay on 2262 for US-431. 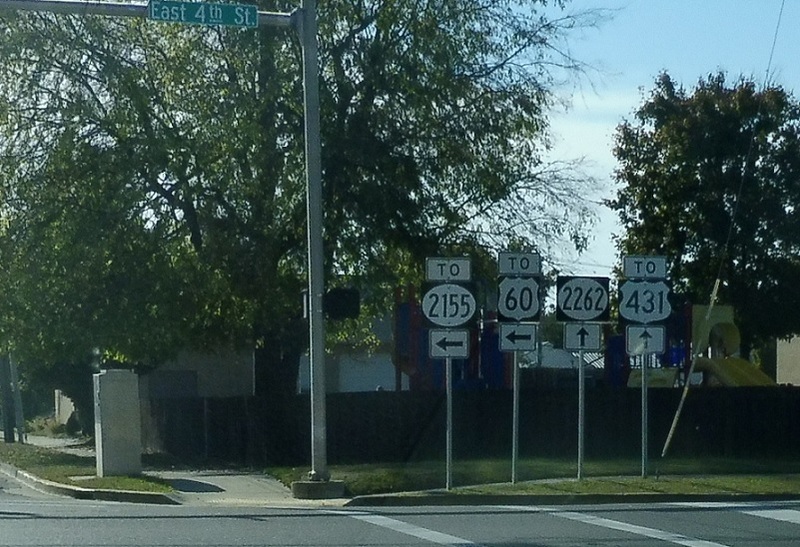 Take 2155 to US-60. A block later, we’ll approach KY 2245 on the other side of the one way couplet. 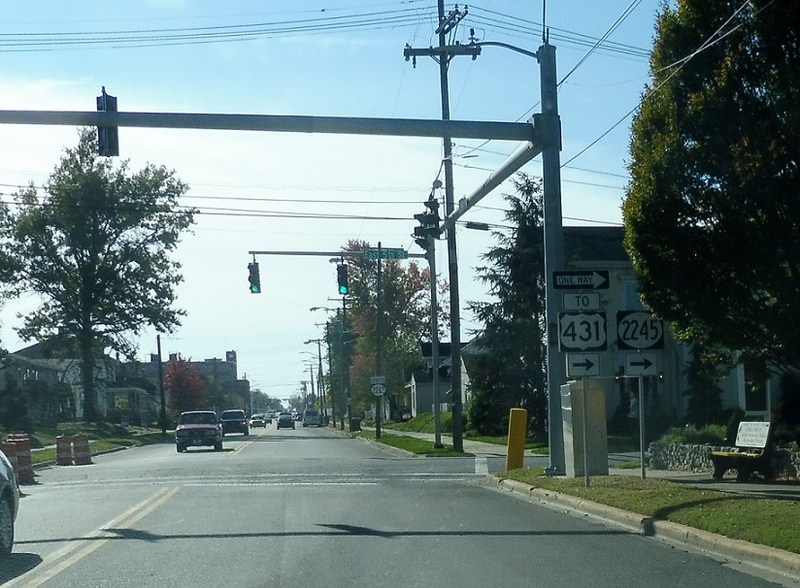 Turn right for KY 2245 to US-431.